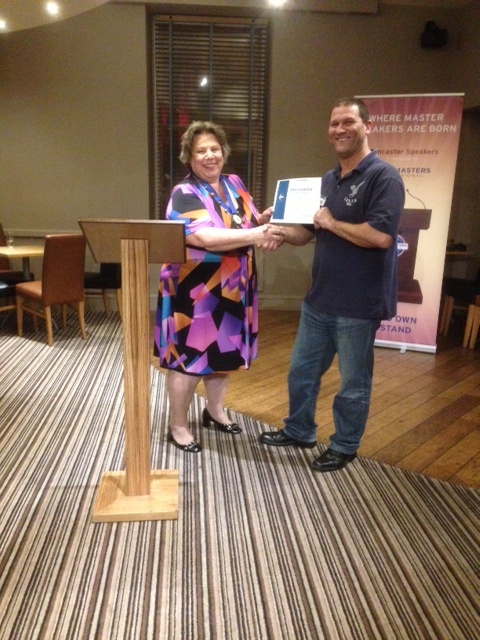 Doncaster Speakers held this year’s Humorous Speech and Table Topics Contests on Monday 14th September at the Regent Hotel. Andrew Miller won the Humorous Speech Contest with a highly entertaining speech entitled ‘Humour most Fowl’. Table Topics Speakers were asked to talk about ‘What makes a good party?’, with suggestions including the right mix of guests, cocktails, and even a ukulele! Once again it was Andrew Miller’s speech which carried the day, meaning that Andrew will represent Doncaster in both categories at the Area Contest in Leeds on Saturday 3rd October. The Club wishes Andrew every success at the area contest, which takes place at Jury’s Inn, Brewery Wharf, Leeds from 10.30am on 3rd October. Guests are welcome at Doncaster Speakers’ next meeting, which takes place at The Regent Hotel on 28th September from 7pm. Posted on 18 September 2015, in Contests, Meeting Reports, News and tagged Andrew Miller, doncaster speakers, humorous speech contest, Jean Stewart, table topics contest. Bookmark the permalink. 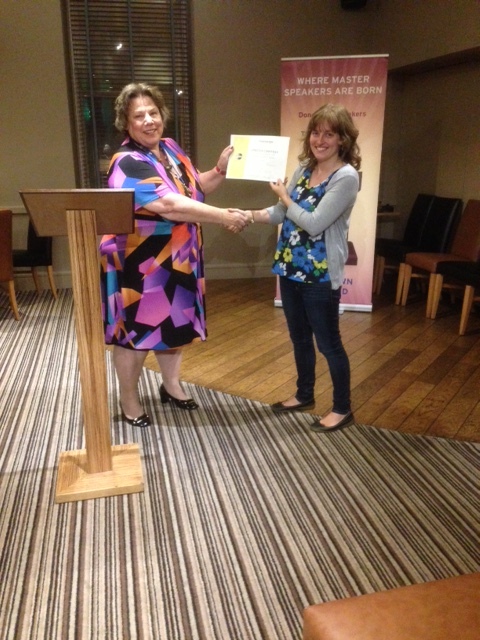 Comments Off on Results of Doncaster Speakers 2015 Table Topics and Humorous Speeches Contest.